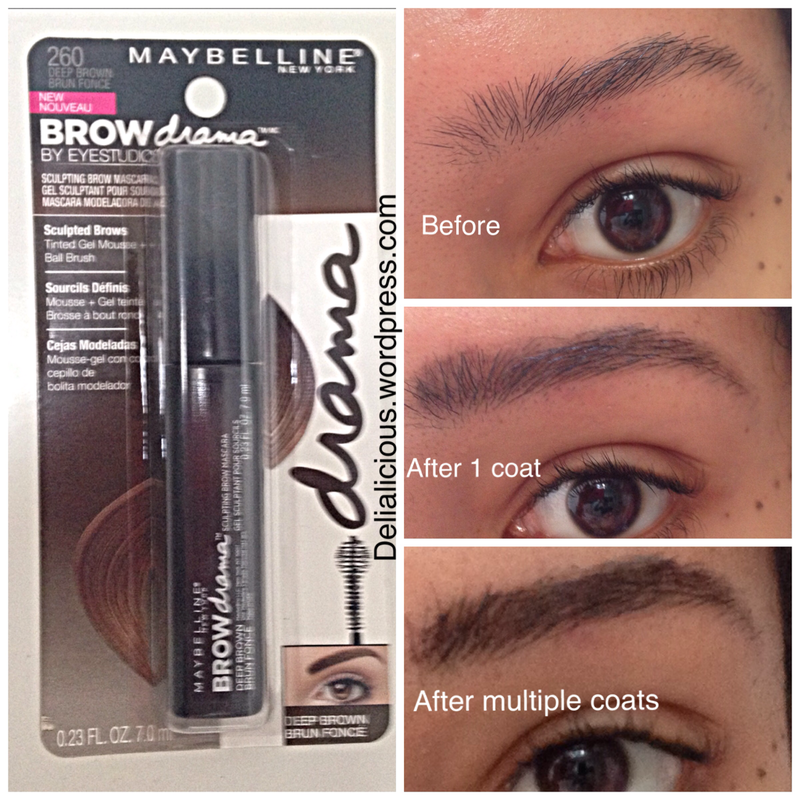 I recently tested out Maybelline New York Eyestudio Brow Drama Sculpting Brow Mascara. The product promises to give you bold and sculpted arches with just a few strokes of a brush. It features a Sculpting Ball Brush, similar to a mascara wand, and uses a tinted colored gel to fill in sparse areas. The brush picks up just enough of the gel formula and combs it through the small brow hairs evenly and lightly. For a very natural look I went over my brows with one coat as you see in the picture below. When I decided I wanted a fuller darker brow, a la Cara Delevingne, I added a few more swipes, which gave me very thick, but still natural looking arches. The best thing about the gel is that once it dries, it really stays put, so you don’t have to worry about it smudging or wearing off throughout the day. The only con is that it does take some time to get used to the application, which requires light, upwards strokes along the contour of the brow. I would recommend this product for someone who has a difficult time mastering pencil and powder liners and wants a quick and easy way to create a groomed look. For those who are brow pros, use this to sculpt, define and lock hairs in place, then go over sparse areas with your pencil or brush. The product is available in 3 shades: blonde, soft brown and deep brown. It retails for about $9 in drugstores.